UO English and classics professor Steve Shankman gives himself 30 minutes to get from the front door of the building to the classroom for a 6 p.m. course. First, he crosses a menacing and dingy entry before navigating a maze of security checks. Then he walks through steel gates that open cautiously before locking behind him. He passes by windows covered in thick metal bars and gazes out at a yard surrounded by walls of barbed wire. The class is Literature and Ethics and his classroom is in the Oregon State Penitentiary. 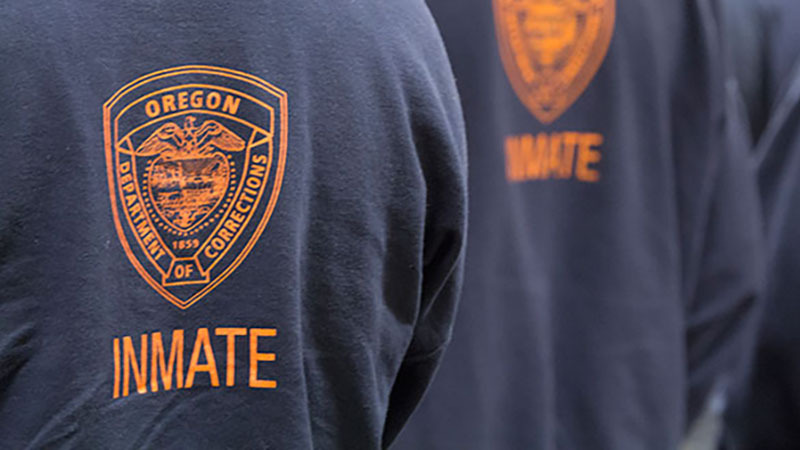 Shankman, of the UO's Clark Honors College, has spent a decade teaching classes through the Inside-Out Prison Exchange Program, which integrates university students — in this case, students from the UO — with incarcerated individuals. 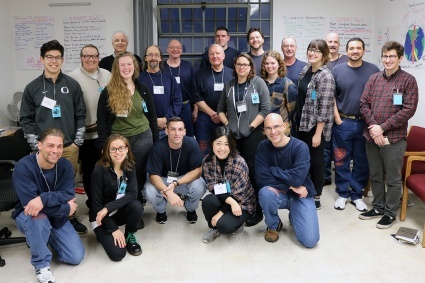 The Inside-Out program is named for this mix of students, some of whom live “inside” the prison walls and some “outside.” But Shankman believes the phrase contains a deeper meaning. It is in this spirit that Shankman decided to teach Russian literature in his Inside-Out class. While the choice may seem an odd fit, he said the Russian authors actually offer a profound source of relatable material for inmates and raise transformative questions for all students. His new book, “Turned Inside-Out: Reading the Russian Novel in Prison,” dives into his experience teaching the books to a mix of university and incarcerated students. Fyodor Dostoevsky, one of the primary authors Shankman teaches, is perhaps best known for his novel “Crime and Punishment.” Dostoevsky spent years in prison himself — an experience he went on to write about, in addition to other novels that cover both crime and punishment. “Reading Dostoevsky in a literature class taught in a prison seemed a good fit,” Shankman said. Caleb, one of the “inside” students, agrees with Shankman and credits Dostoevsky for creating characters that offered him a rare source of connection while he was incarcerated. “Dostoevsky has an amazing and uncanny ability to bring his characters to life in ways that allow his readers to relate to them,” Caleb said. Shankman also uses the works of the philosopher Emmanuel Levinas, who was influenced by Dostoevsky and spent five years in captivity as a French prisoner of war in Nazi Germany. Levinas wrote extensively about “responsibility for the other” and the power of face-to-face encounters between humans — much like the ones taking place in that dingy classroom on the fourth floor of the Oregon State Penitentiary. It’s an unusual environment for the UO undergraduates, but it’s actually the incarcerated men who seem the most terrified about mingling with university students for the class. “For no one can judge a criminal until he recognizes that he is just such a criminal as the man standing before him, and that he perhaps is more than all men to blame for that crime. When he understands that, he will be a judge. Though that sounds absurd, it is true. If I had been righteous myself, perhaps there would have been no criminal standing before me,” the passage reads. Part of his message was that people share the responsibility of crimes as a reflection of systemic societal problems. Terry, one of the “inside” students, immediately objected. “If I did not commit my crime, people would not have had their precious lives cut short by my selfish act. Putting it any other way feels like an avoidance of the truth and a violation of the memory of my victims,” he said. The room grew strikingly silent after he finished speaking. Then it was an “outside” student who rose to object. Danny shared his own tragic story: When his best friend from high school was killed in a parking lot fight after a major league baseball game, he recalled his swift judgment against the murderer. “There was not a doubt in his mind that he was solely responsible for his actions,” Danny said. But after reading Dostoevsky’s text he reconsidered his staunch beliefs. Shankman’s thoughts on this passage are rooted in the same sentiment, and that keeps him returning to the “inside” classroom year after year.